If you give a million pounds to a charity you're likely to be hailed for your benevolence. If you choose, instead, to give it to a political party your life story will be minutely examined for evidence of what you want in return. Cash for politics is widely assumed to be, in reality, cash for honours or cash for favours or cash for access. Not, in other words, an act of political conviction let alone civic duty, more the ruthless pursuit of self interest. Why do the parties find it so difficult to raise money without getting into trouble? Should politicians be beggars, scrounging off the rich? Who are the biggest political donors? Do parties really need so much cash in the first place? Or are we getting over-excited by minor irregularities and bogus scandals, when we ought to recognise that British politics is more open and honest than it has ever been before? These are the questions I explore in Cash for Politics, on BBC Radio 4. Professor Justin Fisher, from Brunel University, a leading expert on party funding, says it is an area in which the "rationality gloves come off". People, he says, are assumed to be guilty if not proved innocent. It is all because of the S word - sleaze, a word barely heard before the 1990s but which is now deployed casually and, all too often, recklessly. It damaged first Prime Minister Major then Blair and now Brown. Cash-for-questions morphed into cash-for-honours and then into secret loans and donations. This week David Cameron learnt he was not immune - when his local party forfeited two illegal foreign donations. Fisher's worry is shared by politicians of all the main parties. The former treasurer of the Liberal Democrats, Lord Razzall, says "you'd have to be mad to give cash to governing party" since if you or your business has any relationship with government it will be assumed that you are procuring favours. Justice Secretary Jack Straw agrees and says that there is a danger that if parties roll around "in the gutter" they will discredit the idea of giving to political causes you believe in. Former Tory Party chairman Francis Maude says that the public have to understand that party funding may not always be agreeable but it is necessary if the taxpayer is not to be expected to fund the entire democratic process. Politicians agree then that they need to find a way to clear the clouds of suspicion that hang over them and those who fund them. In Cash for Politics I have spoken to those who give, those who persuade them to give and to those who spend the money. Few of those who do give big sums are keen to talk about why. 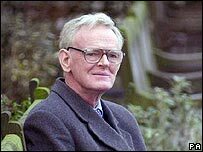 One who is is Stuart Wheeler, founder of the betting company IG Index, who gave the Conservatives £5m in their darkest years when William Hague was facing an all-conquering Tony Blair. He told Hague that he did not want anything in return - whether an honour or a change in policy - but he says that he was entitled to have his views listened to "more than the man in the street". The distinction between having your views listened to and not getting anything for your money may be lost on many. Stuart Wheeler would insist, though, that buying a seat at a dinner where you can sound off to your leader about Europe is very different from lobbying in your own financial interests. And, it is worth noting, Tory policy has been less Eurosceptic than Wheeler would like. Tory fundraisers aim to raise about a million pounds a month in peacetime but set themselves the target of raising a war chest of £15m when general election battle looms. Once they could rely on big companies chipping in but leading firms are now reluctant to be seen to be backing one side and are now required, by law, to get shareholder approval for any donation. Once Labour relied almost totally on the trade unions but Tony Blair was desperate to reduce the party's dependence on them. Thus both main parties have come to rely more and more on a few wealthy men with their own money to spend. Hence the problems. 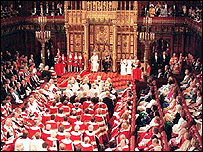 Until recently all the major parties were taking part in talks chaired by the former Whitehall mandarin Sir Hayden Phillips about how to reform the law. All agreed on the need for new limits on what could be spent in the run up to an election - the current limit is around £20m. Another component of any new law will be strict limits or caps on the size of donations. The figure being talked about is £50,000 which may sound a lot but is a tiny fraction of some of the big donations the parties have received. The parties cannot, though, agree on the detail of reform. The Tories are demanding that the unions be subject to those proposed new limits on giving. Labour says no because they merely aggregate the individual donations of their members. Labour wants all year round spending limits in each constituency to counter Lord Ashcroft. The Tories say this would be unfair and bureaucratic. Even if the parties do agree a deal on funding, even if appointments to the House of Lords end - or are reformed - it is hard to disagree with Lord Falconer's weary conclusion. If parties either break, seek to bypass or to ignore the spirit of new laws public cynicism is bound to be reinforced. Doubtless politics was dirtier in the past, doubtless it is still dirtier in many other countries, but it is hard to foresee an end to the shadow cast by the mixing of cash and politics. Cash for Politics was broadcast on BBC Radio 4 at 1100GMT on Saturday, 22 December 2007. You can also listen online for 7 days after that at Radio 4's Listen again page.